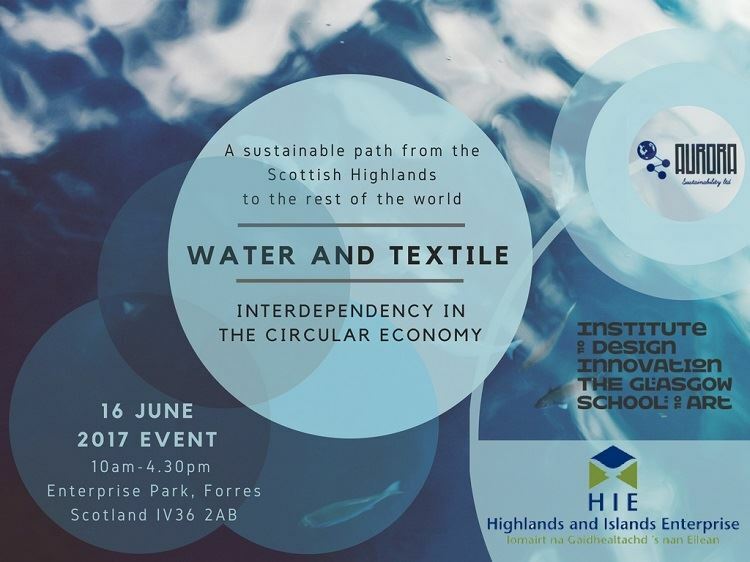 Water and Textile - Interdependency in the Circular Economy is a national event as it is relevant to the textile/water supply chains over Scotland and abroad to approach, with an optimistic agenda, the topics of low carbon and the circular economy needs for the sectors. SMEs are the main target of the Circular Economy National Strategy but the event is open to everyone in business with the textile and water industry. The event has a focus on business engagement and collaborative approach and you will play an active role in participating. In the morning there will be two panel sessions with key speakers and case studies. The afternoon will be practical, breaking in groups, exploring circular economy innovation and business design with the toolkit Aurora Sustainability has designed with the Glasgow School of Art.